With great pleasure we would like to introduce RAJVASANT EXPORT as a manufacturing unit, located at Aligarh (INDIA), specialized in producing various items of builder's hardware exclusively for the export market. Basically we produce Building hardware products but In case you have a preference for any other metal or alloy or product, we would be only too happy to oblige. We have attached herewith our latest Price List of our items If you interested in our items please send us your mail with your comments. 7. Artware & Nautical's Antique Reproductions. Besides it we can make any item with the help of Drawing, Pictures or Samples but Samples are more convenient to make item exactly required. We will wait for your comment. 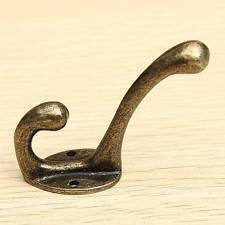 Contact us for Hardware and Handicrafts products in metal.